Coming off their second losing season in a row, and fresh off firing general manager Bobby Evans, the San Francisco Giants enter their most important offseason in recent memory. 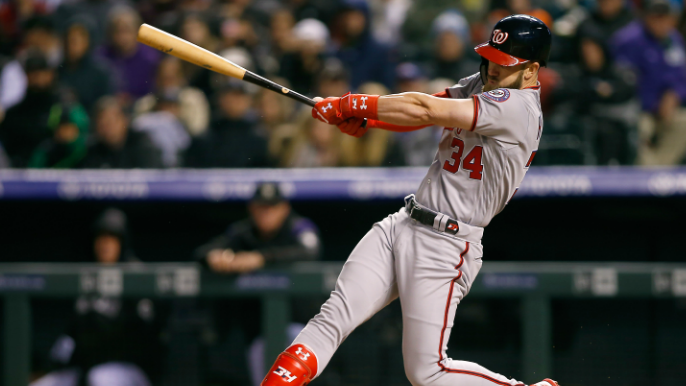 Though it’s still unclear who will be calling the shots this winter, San Francisco has been linked with the top player on the market, Bryce Harper, for nearly a year now. That the Giants would make a serious bid for the former MVP is hardly a long shot, considering that just last offseason the club was reportedly willing to break the bank to bring Giancarlo Stanton to the Bay. Ultimately Stanton was uninterested and Harper may feel the same way, but Buster Olney of ESPN believes that Harper in Orange and Black makes sense on a number of levels. “I think if they follow the logic they did last year, when they pursued Giancarlo Stanton then absolutely,” Olney said of the Giants wanting Harper. “It makes sense on a lot of different levels. It makes sense for the fact that he’s a great player and he’s going to get a lot of money from some team this winter, he’s going to sign a long term deal with some team. He’s one of the youngest free agents that we’ve seen. Next year he’s going to be 26 years old, and if you’re going to invest in a player that would be the time. Harper is expected to command a salary worth somewhere around $31 million per year in what could be at least a 10-year deal according to Spotrac. Does that make sense for a team that looks like it needs help in multiple areas? In order to get people to keep coming to the park, the answer may be yes. Harper is coming off his sixth All-Star appearance in seven seasons, and posted a slash line of .249/.393/.496 with 34 home runs in 2018. Listen to the full interview below. To hear Olney on Harper, start from the beginning.